It is a quite complicated task to create product relations in Magento 2 manually. 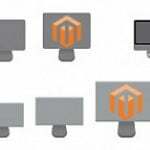 If you don’t want to spend hours on this time-consuming process, pay attention to Magento 2 related products extensions. And today we want to draw your attention to a reliable extension by MageDelight. Meet the Automatic Related Products Magento 2 module – your number one time-saver when it comes to product relations. 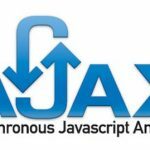 Below, we describe its core features and shed light on backend/frontend functionality. Magento 2 related products stats. The most important feature of the MageDelight Automatic Related Products Magento 2 module is its usability. 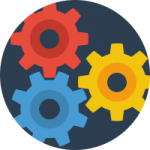 You not only get a block with related products, you add a highly informative area with lots of various customer-oriented options to your frontend. The Magento 2 related products extension helps to discover relevant products and add them to cart within just a few clicks. Besides, every product can be added to wish list or compare. Another stunning feature allows to open a quick view window with additional product details. Furthermore, the MageDelight Automatic Related Products Magento 2 extension fully supports configurable products. They can not only be added to the related products block, but a customer can configure them right there. 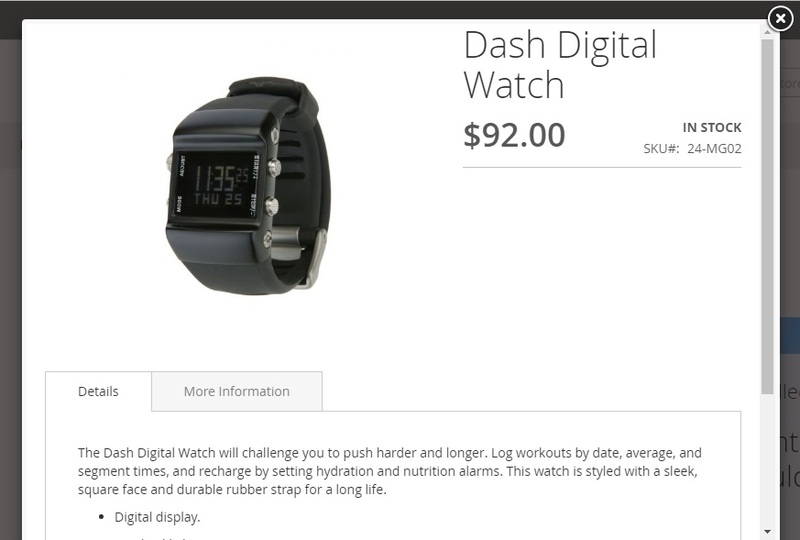 Also note that a dynamic product preview is displayed in the block as well. As for the display on various pages, we will describe this feature in the backend section of this post. Each page type has its configuration section. And items displayed in the related products block are chosen according to predefined rules. Thus, you can narrow down the selection of products as much as you need. 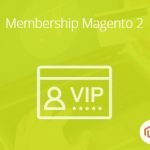 And the MageDelight Automatic Related Products Magento 2 module supports customer groups. It means that you can hide all blocks with related products from your business customers. And due to the statistic section of the backend, you can see how efficient your product blocks are. The module provides such data on customer behaviour as number of clicks and views and click through ratio. Note that you can view this information for each block individually. Next, enable the extension on frontend. Set “Enable Arp” to “Yes”. 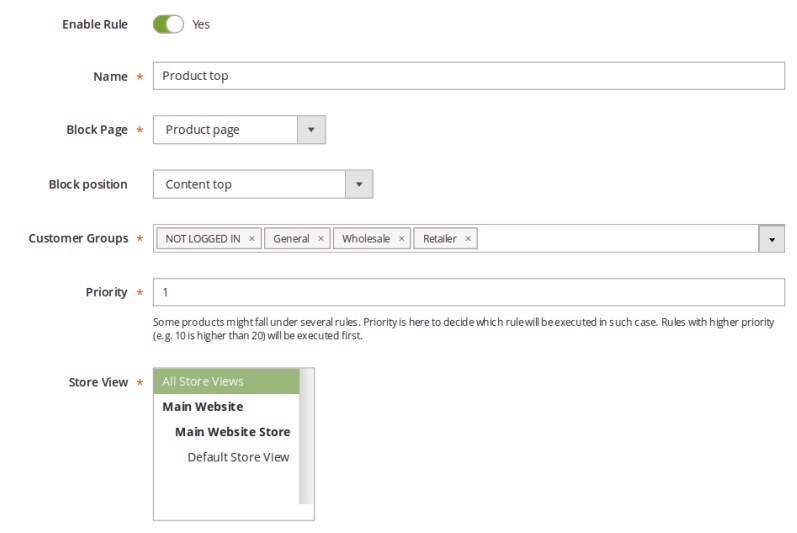 Now, you can configure the display of a Magento 2 related products slider on various store pages. For instance, the Product page section is divided into 7 blocks: Product Page Top, Product Page Bottom, Products Before Native Block, Products After Native Block, Products Instead Native Block, Products Sidebar Top, Products Sidebar Bottom. We recommend you to enable quick view for all product pages. Set the appropriate option to “Yes”. Now, let’s see how to configure the MageDelight Automatic Related Products Magento 2 module for the bottom of a product page. The first option is “Enable”. Set it to “Yes” in order to display related products slider on this part of every product page. Note that the same options are available in each of the aforementioned product page blocks, so you can fully control their display on frontend. 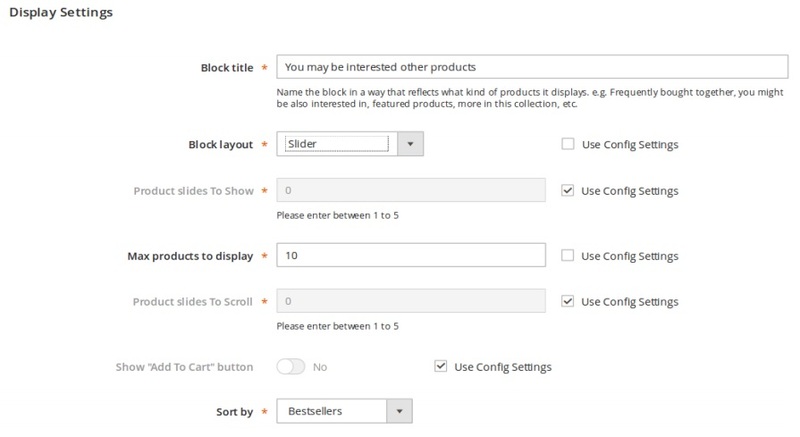 The next option allows to switch between grid or slider layouts of the related products block. 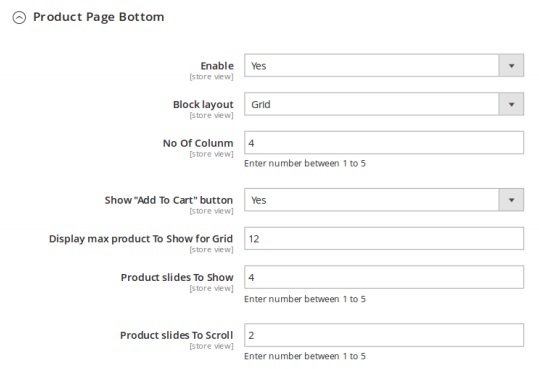 If grid layout is selected, specify the amount of columns (products) to be displayed in a block. We also recommend you to enable “Add to Cart” button. Besides, you can set a limit on the amount of products displayed in a grid as well as on the quantity of product slides is slider layout is selected. Besides, it is possible to set how many slides should be scrolled for each click. 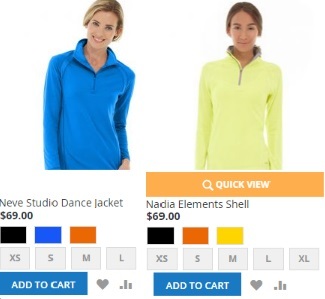 The same options are available for other product page positions. As for a category page display, the MageDelight Automatic Related Products Magento 2 module provides a limited selection of options. You can configure just two positions for a related products block: Category Page Top and Category Page Bottom. The options are just the same as we’ve just described: enable the quick view feature for both blocks and configure each block separately. For instance, the Category Page Top subsection allows to enable/disable the block, select its layout (slider or grid), enable “Add to Cart”, specify the amount of products per slider, slides to display, and slides to scroll. Shopping cart configuration doesn’t have any differences. 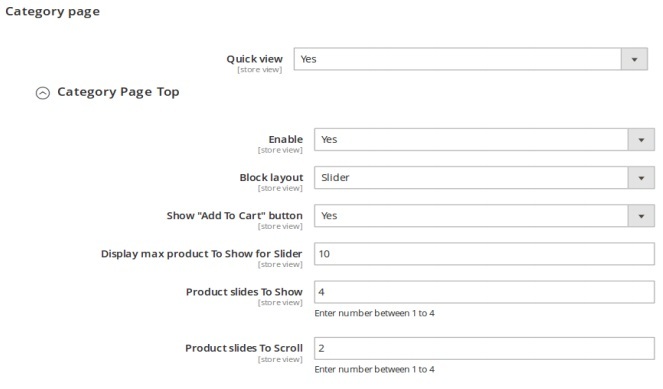 Turn on the quick view feature for both bottom and top blocks and configure each block separately: enable/disable the block, select its layout (slider or grid), enable “Add to Cart”, specify the amount of products per slider, slides to display, and slides to scroll. Besides, the MageDelight Automatic Related Products Magento 2 extension allows to enable/disable the related product block on Shopping cart page Cross sell before, after, or instead the native block. As you might have already guessed, CMS ond order success pages have very similar configuration, so we don’t want to waste your time describing them both. Now, let’s see how a new rule for related products display can be created. In admin, go to Automatic Related Products -> Manage Product Rule. Here, you can see already existing rules, as well as add new ones. To create a new rule, hit the “Create Product Rule” button – you will be redirected to a new screen. Enable the rule, type its name, select a page type (product, category, cms, etc) and block position (content top, content bottom, etc). Next, specify customer groups to display your block to. Set a priority level in order to avoid conflicts between blocks. For instance, you have a block that is displayed on a product page to wholesale customers only and another block that is displayed to all customers. Both blocks have the same position but different content. In order to avoid conflicts between two blocks, set the highest priority to one that is displayed to wholesale customers. As a result, your business clients will never see a block designed for other customer groups. Besides, you can create store view-specific blocks. 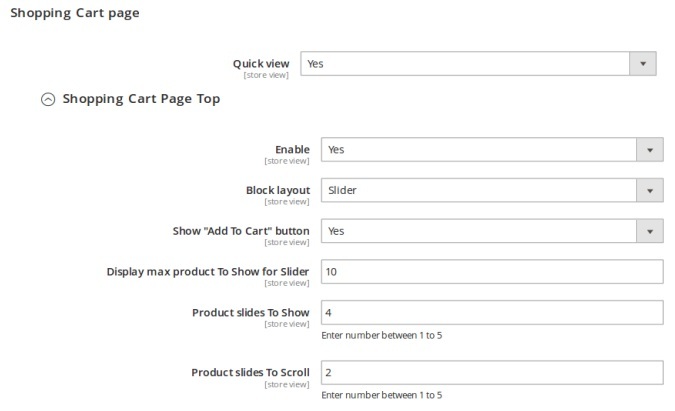 Select store views you’d like to show the new Magento 2 automated related products slider on. 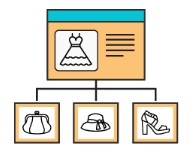 As for “Where to display related products” tab, it allows to specify the product attributes or attribute combinations that define the product/category/cart pages where the block will be displayed. Note that on successfully saving the rule, you can click on the “Product Listing” button to view pages for which the block will be displayed. Under “Which products are displayed: tab, specify the product attributes to define products that will be displayed under the related products block. 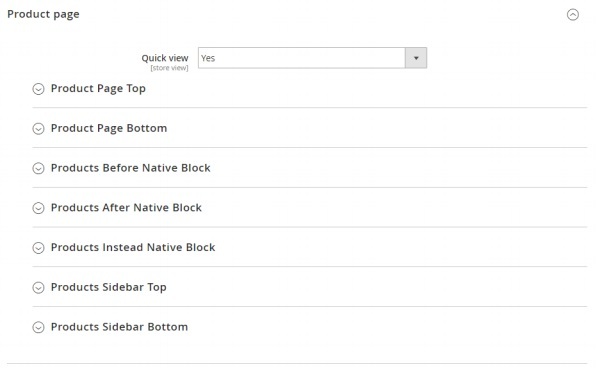 The last tab allows you to configure various display settings for the new block. First of all, specify its title. Next, it is possible to apply config settings or provide alternative values for the following fields: Block Layout, Product Slides to Show, Max Products to Display, Product Slides to Scroll, and Show ‘Add to Cart” Button. The “Sort By” parameter allows to select a sorting order option for the products to be displayed in the block. You can use the following values: Bestseller, Name, Newest, Price: low to high, Price: high to low, and random. On the home page, the MageDelight Automatic Related Products Magento 2 extension allows you to scroll related products in a slider. As you can see, the “Add to Cart” button is enabled. Besides, you can hover over a product to get a button that opens a quick view window. This is how thee window is designed.